Introducing the next generation of TheBrain technology: TheBrain 8. TheBrain 8 provides advanced information management so you can see and find your information like never before. With faster application start up, enhanced multi- threading technology and tons of user Interface enhancements you can take your thoughts to the next level. 1. Brain Icons. 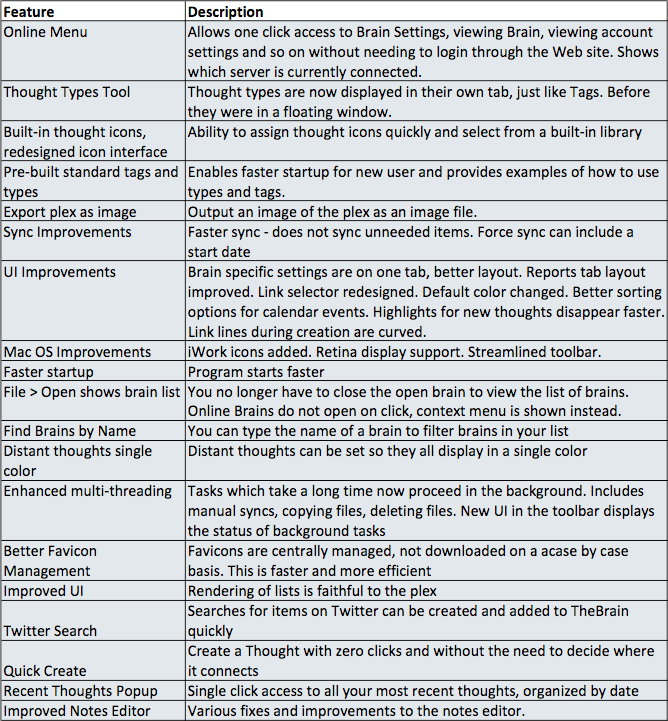 – TheBrain 8 not only includes better Favicon Management, but also has over 1500 built-in Thought icons for your thoughts. Choose an icon from our icon categories. You can go for a business icon or even select a cutie to make your thought stand out. 2. Better Brain Management – Easily find which Brain you are looking to open with the new Brain Search functionality and select whether you want to open locally or online with an updated and easily accessible Brain Management menu. We also offer new Online Brain Options – One click access to your online Brain settings and options. 3. Pre-Built Thoughts, Tags and Types. – Looking to quickly populate your Brain with Thoughts, Thought Types or Tag lists? 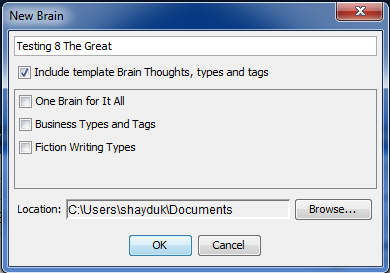 – look no further, TheBrain 8 has several new Type and Tag lists that can be imported into your existing Brains for better classifications and understanding of your data – or- into new Brains, to get you up and running quickly. 4. New Types Menu –You now have a new tab in the tools area to easily add and modify Thought types. 6. Export Plex as an Image – Looking to include a screenshot of your Brain plex in your next paper or presentation? Output an image of the plex as a graphic file – right from the application itself. 7. Quick Create Thoughts – It’s faster than ever to create a new Thought with zero clicks. 8. Timeline View of Thoughts – See what thought you created and modified chronologically. Timeline view provides a whole new way to view your thinking. TheBrain 8 also provides faster Brain synchronization to TheBrain cloud, streamlined menu options, Multiple Mac OS improvements, and more. Download today and see for yourself why TheBrain 8 is so Great! A full list of features will be available soon. * Please also keep in mind that this is still a beta release. Any important Brains you have should still be used in TheBrain 7 only at this time. ** During the installation of TheBrain 8 Beta, be sure to install to a new location so TheBrain 7 is not overwritten. Maybe you should add information about how you start the beta version without automatically opening the last brain you had open in version 7 since it is important not to use our "active" brains for testing! TheBrain 8 is backwards and forward compatible with TheBrain 7 so you use your current Brain. But yeah a new Brain for testing will keep your main Brain clean. You can also use the Quickstart Thoughts and tags for testing. When you create a new Brain check to get started with templates. This will give you some existing Thoughts to work with.